Margaret (Martha) Hannegan (Hanegan)'s father. She was the wife of George Elmore Northrop. 1868 map of Westport shows Mrs. Hannegan on what looks like the current Bulkley Avenue. John was discharged in 1865, but the data for maps is often a year or two behind the printing date. Sad to consider that a family separated by service in Civil War would come to be known as "Mrs. Hannegan" rather than "the Hannegans". With the record of the 14th C. V. and limited communication, it is possible there were times Sarah would have believed he was lost. Sarah Hannegan (b. ~ 1826) died in September 1869 in Westport. She was only age 43 and died of cancer. I have not found her resting place. NEED TO CHECK FAIRFIELD EAST. Between July or August, 1862 and June 1865, Sarah had been without her husband. They had just a little over 4 years together after his return and it's quite possible that she was suffering from the effects of her illness for the last year or more. Sarah died sometime before April 13, '1878. That is the date of John's admission to Civil War Hospital at Hampton, VA where he is listed as a widower. Mom's notes say "Last known address 70 Poplar Street, Brooklyn (prob NY), born in Ireland." but I have not verified this information. Here is that block on Poplar Street. Very interesting if this is correct address. It is adjacent to the Irish area of Brooklyn called Vinegar Hill. "The Vinegar Hill Historic District... a residential remnant of the early nineteenth-century neighborhood that occupied the blocks between the Brooklyn Bridge and the Brooklyn Navy Yard. By the late nineteenth century, the large number of Irish residents had given the neighborhood the popular name "Irishtown," although other ethnic groups also lived in the area [Germans, Norwegians, Swedes, Poles, Italians, and Eastern European Jews]. ... The groups of houses that survive within the Vinegar Hill Historic District retain their historic architectural character and create a distinct sense of place, recalling a significant era in Brooklyn's history. Area lots " were developed individually or in small groups in the 1840s and 1850s with houses that have Greek Revival and Italianate characteristics. Further residential construction occurred on a few remaining vacant lots on Hudson Avenue, Water Street, and Front Street in the years following the Civil War. By the late nineteenth century, the Vinegar Hill area had become a dense residential and industrial neighborhood. Hudson Avenue was a busy commercial strip, as evidenced by surviving ground-story shopfronts. .... Most of the residents worked on the waterfront, in the Navy Yard, or in neighborhood industries. By 1903, major changes began to occur in the area as a result of the building of the Manhattan Bridge and industrial expansion in the decade following the consolidation of the City of New York in 1898. Hundreds of small dwellings were replaced with large industrial buildings. More houses were razed in the 1920s and 1930s for truck storage facilities, parking lots, and warehouses, a pattern which continued after World War II. This is from a wonderful blog post on NY Irish Roots. This shows a home from Vinegar Hill. Click to see the entire blog. Also from mom's notes: "Birth record Margaret HannAgan With the A circled -- 23 Park Row". Must be NYC, there's no Park Row found in Brooklyn. It is just across from Brooklyn. It looks like 23 Park Row is just across the street from the area usually shown as the notorious Five Points area. It is just a couple of blocks from City Hall, then identified as Tammany Hall on the 1831 map. ...Five Points is alleged to have sustained the highest murder rate of any slum in the world. According to an old New York urban legend, the Old Brewery, an overcrowded tenement on Cross Street housing 1,000 poor, is said to have had a murder a night for 15 years, until its demolition in 1852. There are a number of letters from "Hattie" to Mrs. George E. Northrop -- I think this may be Maggie's sister. Also from mom's notes Margaret Hannagan Northrop's brother nephew-- William Hennry Hannagan, b July 18, 1907. Mother Gracia A. Phillips ( 36 in 1907 North Adams, MA. )Father William H. Hannigan, Wspt. Tinsmith, Westport. I think Margaret was born New York despite the conflicting entries. With the Civil War documentation, I'm confident John was born in Ireland. It's quite possible it was advisable to obscure the Irish heritage in the earlier census years. The information on Maggie's mother may be another story. Disparate data may support the notion that there was a second marriage -- that her birth mother was Irish and her step mother was vorn in NY or CT.
Is wife Sarah a Bunnell? Is she the first wife. 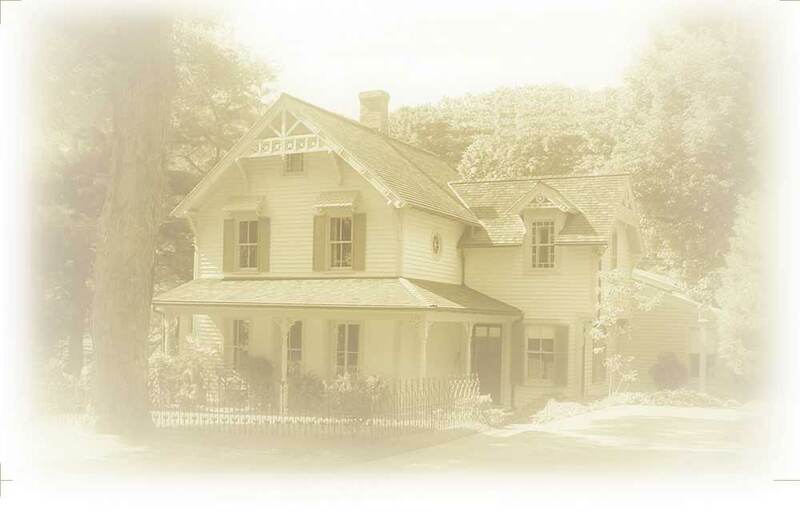 The Bunnell name is found early in Connecticut history- in Litchfield County, in the New Haven area and in the Fairfield Westport area. Henry A. Lambert and Rufus W. Bunnell were a Bridgeport architectural firm who designed buildings in Southport during the 1860s and 70s. There are several Bunnell families in Westport. 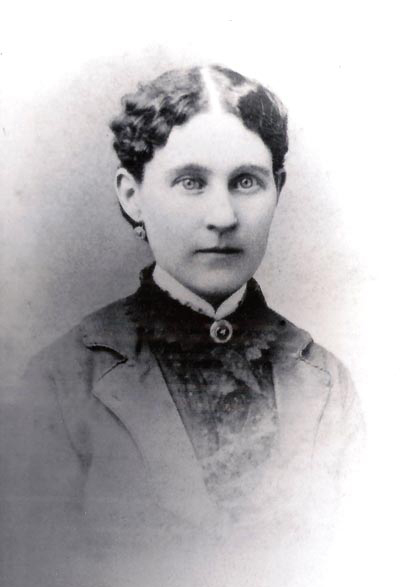 Margaret E. Hannigan and George Northrop were married January 17, 1865 in Port Chester, NY by Valentine A Lewis, minister. "United States Famine Irish Passenger Index, 1846-1851," database, FamilySearch (https://familysearch.org/ark:/61903/1:1:KDX6-BP4 : 27 December 2014), M. Hannegan, 12 Jul 1847; from "Famine Irish Passenger Record Data File (FIPAS), 1/12/1846 - 12/31/1851," database, The National Archives: Access to Archival Databases (http://aad.archives.gov : accessed 2012); citing "Balch Institute for Ethnic Studies. Center for Immigration Research 1976-2002." Margaret's sister, Sarah, married George Hale of Greens Farms. My father, Alvin, could remember "Uncle George Hale" as he was growing up. There is also a possible New Haven Naturalization record. 1860 Census Michael could he be the son of Michael below? --born the year they arrived? They are the only Hannegan of any spelling who specified Connecticut as their destination -- leading one to believe they know someone already or had a position in advance. Makes me think he is related to John Hannegan. So I'd speculate that John was here first. I'm not sure on the Margaret/Martha born in Connecticut -- if so , John and family were here by ~ 1846. This shows sister Sarah who married George Hale and apparently a younger brother, John. 5' 8" tall Light skin, Light eyes, Light hair. "Perhaps the most famous and hardest-hit regiment was the Connecticut 14th, which arrived at Antietam (September 17, 1862), the single bloodiest battle of the war, after only a few weeks of training." " The regiment suffered again only a few months later in Virginia at Fredericksburg (December 11-15, 1862)." Finally, at Gettysburg, the 14th gained some degree of redemption. Protecting one of the most important points of the Union line, the men withstood Confederate Major General George Pickett’s famous charge on July 3, 1863, leaped over a stone wall, and captured six enemy battle flags. Three men from the regiment (Elijah W. Bacon, Christopher Flynn, and William B. Hincks) received the Congressional Medal of Honor for valor." The name Hannegan in Ireland is derived from the native Gaelic O'hAnnagain Sept that was located in Counties Waterford and Tyrone(not really sure on this -- ej). It is in these Counties that the majority of descendants bearing this name can still today be found. Hannigan is a variant. The following are possible Hannigan family crests that have been assigned to my ancestor's in Ireland. I will continue to add crests until such time as I can find the direct link to my ancestors. In 2003 - the gravestone for Patrick Joseph Hannigan was found at St. Raymond's Cemetery, Bronx, NY. It indicates he was from County Limerick, which limits the Family Heraldry Crest to an origin of Limerick or one of the neighboring counties. The Irish name Hannon has derived from a number of distinct native Gaelic Septs including O'hAnnain and O'hAinchin of County Galway, and O'hAnnachain of County Limerick. Hanneen, Hanahan and Hannan are among those chosen as an alternative anglicized form of the native name. The Irish name Hennigan is derived from the native Gaelic O'hEineachain and O'hEanachain Septs that were located in County Mayo in the West of the country. It is in the Western Counties that the majority of descendants can still today be found. These Sept names were also anglicized as Heneghan and Henihan. The name Hannegan in Ireland is derived from the native Gaelic O'hAnnagain Sept that was located in Counties Waterford and Tyrone. It is in these Counties that the majority of descendants bearing this name can still today be found. Hannigan is a variant.